SUS used accreditation standards as part of a wholesale commitment to performance management. Now the organization is well positioned to market itself within value-based and other outcomes-based payment models. In late 2017, two dozen program leaders from Services for the UnderServed (SUS) arrived at a conference room in the agency’s 17th floor New York headquarters. They had with them data from SUS’s annual consumer satisfaction survey, charted and illustrated so that nothing would be missed. It was the first year following a major revamp of the company’s satisfaction survey, which had successfully increased the response rate 113% from prior years. On the heels of this success, leaders were eager to review the new feedback and parlay it into strategies to improve services. The charts quickly revealed the first area for improvement. 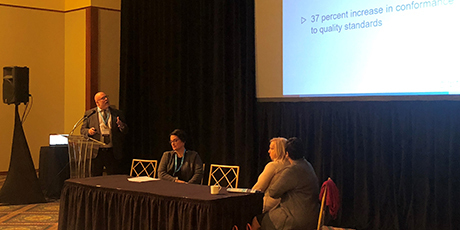 One program showed statistically significant lower scores than others on the question, “Does staff listen carefully to you.” It was exactly the kind of feedback the leaders at SUS had been looking for. Within minutes, they began building a plan to implement new trainings for both staff and consumers on effective listening and mindfulness. As they constructed their strategy, one thing became clear: The exercise was not a burden. They were not just working on a feel-good document to hide away in a filing cabinet. Instead, it was seen as an opportunity for growth. The resulting plan would be visible and actionable. It would be shared with all stakeholders, including executive leadership and board of directors, direct service staff, and most importantly, persons served. It was a demonstration of the transparent quality-improvement philosophy that SUS had committed to more than ten years prior. SUS is a 2,400-employee nonprofit provider of services for behavioral health, intellectual/developmental disabilities, veterans, and persons who are homeless. In 2007, it was several years into a companywide project to strengthen the connection between its stated organizational values and actual practices. 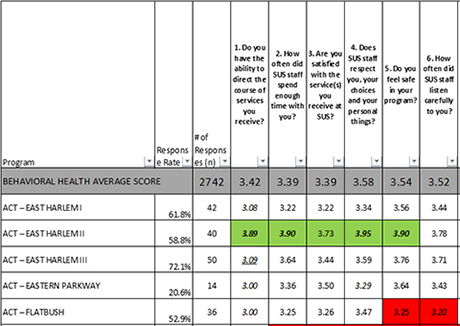 SUS was focused on being able to measure quality of services and define what impact services have on clients’ wellness. It wanted to weave the elements of continuous quality improvement and transparency completely into its company DNA. SUS knew the foundation for these goals is a person-centered culture. It’s “Getting the right people on the bus,” as SUS CEO Donna Colonna often says. Hiring and training helps build an organization with people who have a similar belief system. 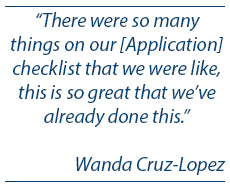 This included updating intake processes, establishing connections with other providers and community resources, and streamlining referral routes. It also meant bringing some primary care services on site, such as screening and monitoring for conditions like diabetes or hypertension. The idea was to remove the perceived walls between physical health services and social services, and address the whole, individual person. The revamp of the annual consumer satisfaction survey is an example of this initiative. The aim was to open actionable dialogue with stakeholders. 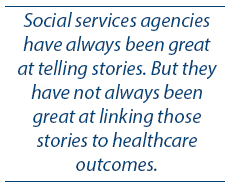 Social services agencies have always been great at telling stories—human-interest stories or stories about a noteworthy client. But they have not always been great at quantifying the effectiveness of services or linking those stories to healthcare outcomes. SUS created the new department to establish baselines and goals for programming and to analyze agency trends. SUS’s efforts have had a positive effect on service quality and client relationships. But the recent rise of outcomes-based payment models means SUS is also in a great position to market itself for new funding opportunities. Outcomes-based care models have emerged in recent years in response to rising healthcare costs. They encourage providers to better collaborate on care, provide treatments and services customized to each person receiving them, and focus more on driving positive health outcomes. Freeing up providers to deliver services more efficiently and cooperatively. Raising the quality of services as they are tuned more toward individual needs. Lowering hospitalization rates—and therefore the overall cost of services—by focusing on prevention. The challenge for providers is that many are unprepared to join in these new models, especially those in social services. To participate, a program’s outcomes must be defined, measured, and sharable. This requires a strong performance management process that many providers do not yet have. SUS, however, is in a good position. For example, in 2016 when it applied for the SAMHSA-led demonstration program for Certified Community Behavioral Health Clinics (CCBHCs), it had to complete a readiness checklist to determine its ability to provide the CCBHC criteria. The organization found that it was already well aligned. SUS’s first clinic moved quickly through the application process, and a second clinic recently received approval for the CCBHC project expansion. The 2017 consumer satisfaction meeting resulted in several new initiatives for improvement. In addition to new trainings for listening and mindfulness, SUS leaders also decided to host a community meeting on the topic of safety and create more opportunities for program participants to discuss what safety means to them. In summary, SUS was able to increase participation in the survey and gather more actionable data. These efforts are just some examples of the performance management and improvement practices that SUS committed to several years ago. As a result, SUS has been able to take advantage of the front wave of new outcomes-based payment opportunities. But the trend will continue. Service providers looking to participate in future reimbursement models will need to embrace strong performance management practices today. To learn more about CARF’s standards for performance management and improvement, please contact us.